The champions of Hero I-League 2017-18 are back. Get tickets to their games below. Offer: Get free Paytm movie vouchers worth ₹150 on purchase of 2 or more tickets. Use offer code MPFC150 . T&C apply. After having won the last edition of Hero I-League, India's top-flight football tournament, #TheOnlyIndianClub is back. They're in great form, having won the Champion of Champions (v Indian Air Force, Delhi); the All India Administrator's Cup U17 2018 (vs CFA, Chandigarh); Punjab State Super League 2018 (vs Punjab Police, Punjab) & J&K Invitational Cup 2018 (Joint winners with Real Kashmir). Tickets to all their home games are out, get them below. Minerva Punjab Football Club is an Indian professional football club based in Chandigarh. 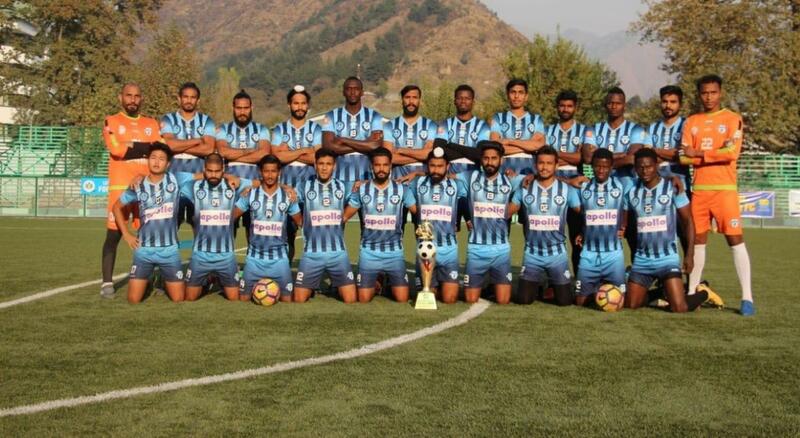 Minerva Punjab compete as a member of the Hero I-League, the top-tier league for Indian football. The club entered the national fray in 2013 as debutants in the 2nd Division League and finished runners-up in the debut season, after which it was promoted to the top division i.e, the Hero I-League. The team won the I-League 1st Division during the 2017-18 season, and remain the only North Indian club to win the title. Their home ground is the Tau Devi Lal Stadium, Chandigarh. Check out this video by Newsclickin, which gives you a great idea of what the club is all about. And check out all their goals from the last season. Have questions regarding these events or your order?